The job interview is something you have to learn to master... or you'll never get the jobs you want. Do you breeze into employment interviews thinking that all you have to do is answer a few silly questions and you'll be on your way to your next job? 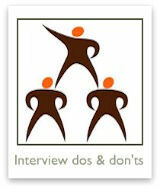 But then do you emerge from the interview feeling shaken, stupid, and knowing you didn't give them what you want? 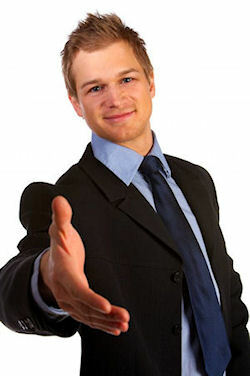 You CAN excel in your future job interviews, when you follow the tips and advice we offer in this section of the site. Trust me... it's not that hard to do well in interviews when you prepare and you go into it with the right attitude and purpose. And the good news is... I'm here to help you! Like anything in life, learning how to master job interviews and come out as the top candidate is mostly a matter of building your skill set. Sure, there can be other factors in who ultimately gets the job, but if you wow the employer during your interview, you're going to position yourself at the top of the heap. 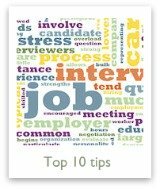 To learn more, I encourage you to explore the various pages in this Job Interview Tips Center here on this website. 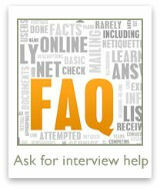 You can click on the photos below to visit each of the interview tips pages. I highly encourage you to take the time to read through these pages. 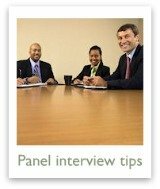 I guarantee that these job interview tips and advice you'll find there will make a difference in the outcome of your future job interviews.